CAPE TOWN : All-rounder Andile Phehlukwayo took three wickets as Sri Lanka struggled to 134 for seven in the first Twenty20 international against South Africa at Newlands on Tuesday. 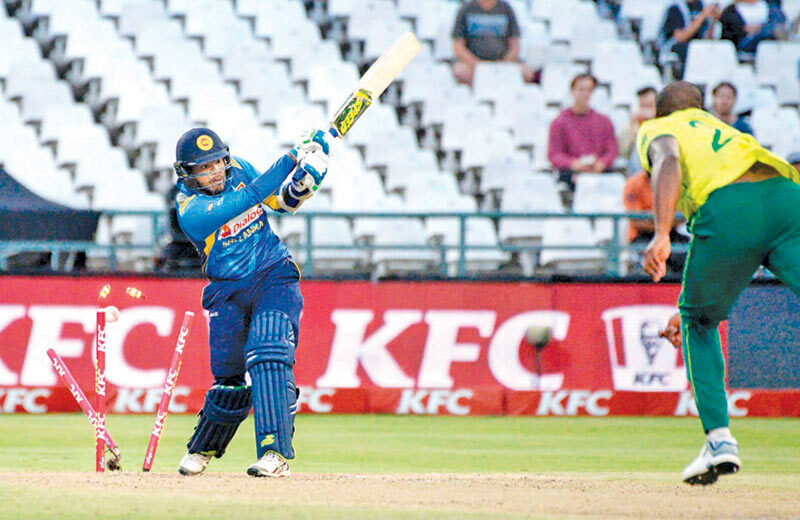 Kamindu Mendis hit 41 for Sri Lanka but the tourists, who were sent in to bat, were unable to recover fully after losing two wickets in the first two overs. Dale Steyn struck with the second ball of the match when Niroshan Dickwella edged a catch to stand-in wicketkeeper David Miller, who took the gloves in preparation for a likely role as back-up gloveman to Quinton de Kock in the Cricket World Cup. Miller later made a stumping when Kamindu ran past a googly from Imran Tahir. Mendis hit three fours and two sixes, off successive balls from Kagiso Rabada, in a 29-ball innings. Phehlukwayo took three for 25. He ended a promising fourth-wicket partnership of 31 between Kamindu Mendis and Angelo Perera when he bowled Perera. He later dismissed Thisara Perera and Dhananjaya de Silva off successive deliveries in the penultimate over.